Few things makes Us happier than a massive sale on our favorite designer brands. Luckily, the Shop With Us team has found a large selection of Burberry pieces seriously marked down at Nordstrom. The London-based brand is frequently worn by celebrities like Gigi Hadid and now we get to step out like the stars in our very own Burberry threads. Check out our favorite picks down below. We even found a few adorable items for little ones! This sale is too sweet to last forever, so move fast before these items sell out. Cozy up in this luxe sweater made of cashmere and silk. It’s designed to be soft and help Us serve up a relaxed color block look. Sizes range from extra small to extra large. 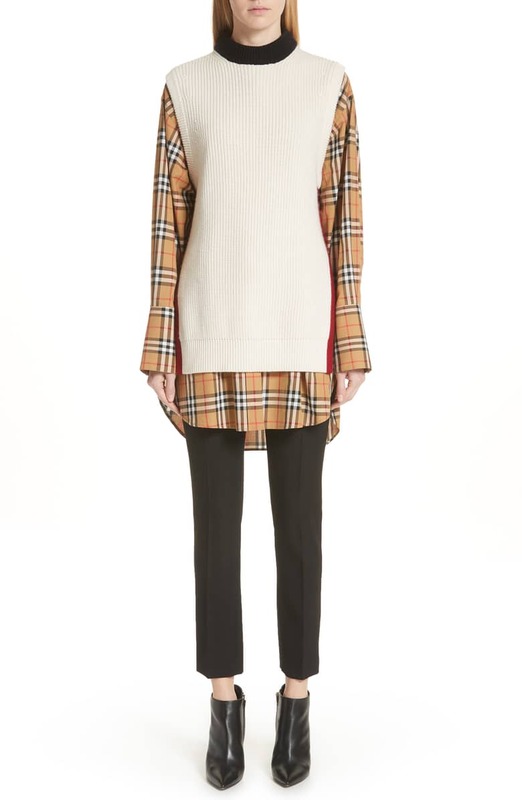 See it: Get the Burberry Buck 57 Silk & Cashmere Sweater (marked down 40 percent off its original $550, now $330) while all sizes are in stock. 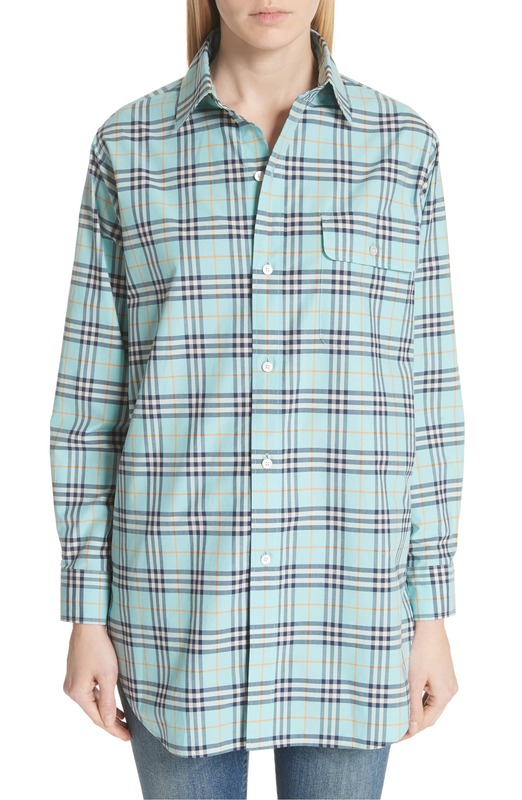 Step up your collection of button-down tops with this cool shirt in a blue version of Burberry’s signature plaid print. It’s long enough to be worn with jeans or leggings. Depending on the wearer’s height, this cool top can also work as a belted shirtdress. Select sizes are still available. See it: Get the Burberry Crow Plaid Shirt (marked down 40 percent off its original $350, now $210) while select sizes are still available. Every closet needs a few shirtdresses! 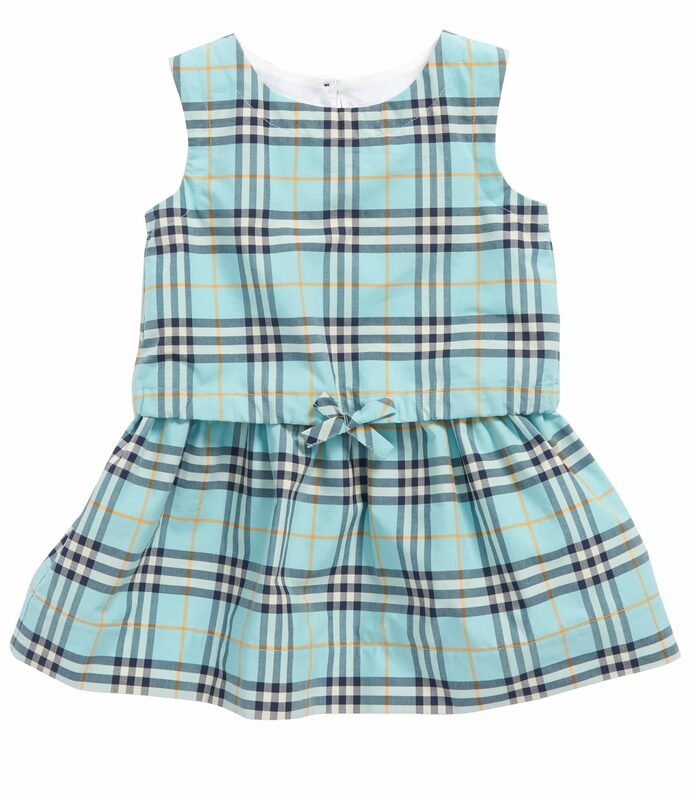 We’re obsessed with this pretty plaid version that features a button-down design and belted waist. The dress can be worn with stockings and over-the-knee boots for an easy fall ensemble. See it: Get the Burberry Isotto Tartan Shirtdress (marked down 40 percent off its original $650, now $390) while so many sizes are still in stock. Confession: We’re suckers for a great mother-daughter matching moment. Twinning with a mini-me is going to be a breeze this season thanks to this lovely baby dress that matches with the Crow Plaid Shirt and the Isotto Tartan Shirtdress. It’s also available in pink! See it: Get the Burberry Mabel Check Dress (marked down 40 percent off its original $190, now $114) while it’s available in two colors and select sizes. 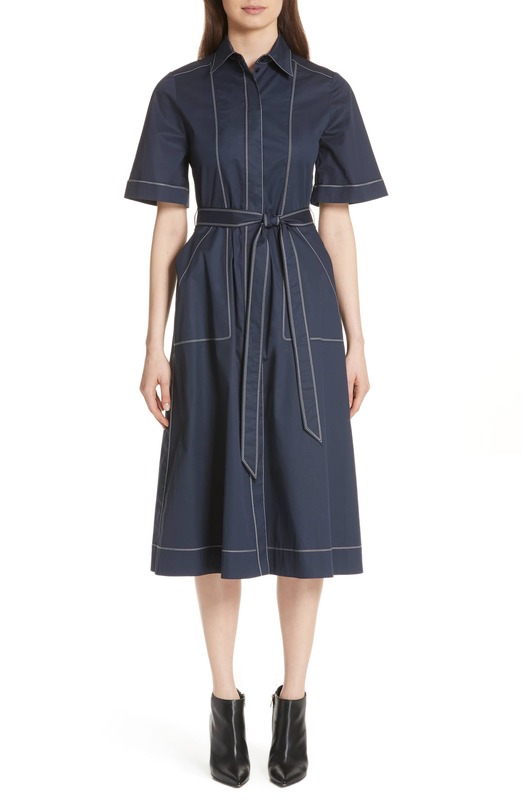 This belted shirtdress is perfect for occasions when we want to look stylish, but also professional. It pairs well with our go-to black pumps and tote bags! It’s available in sizes ranging from 0 to 14. See it: Get the Burberry Carmen Belted Shirtdress (marked down 40 percent off its original $990, now $594) while all sizes are fully stocked. Isn’t this animated scribble version of the Burberry plaid print so adorable? This frock is perfect for a little girl to wear with a turtleneck and stockings. 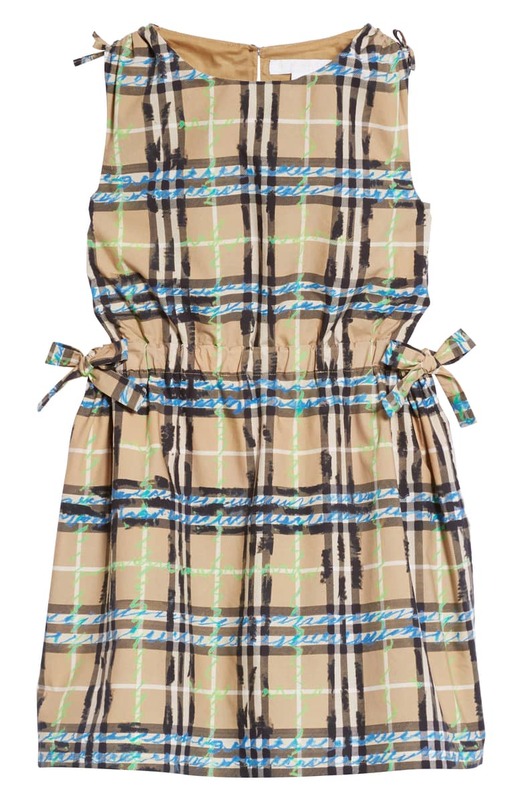 See it: Get the Burberry Candra Scribble Check Dress (marked down 40 percent off its original $268 price, now $156) while select sizes are available. 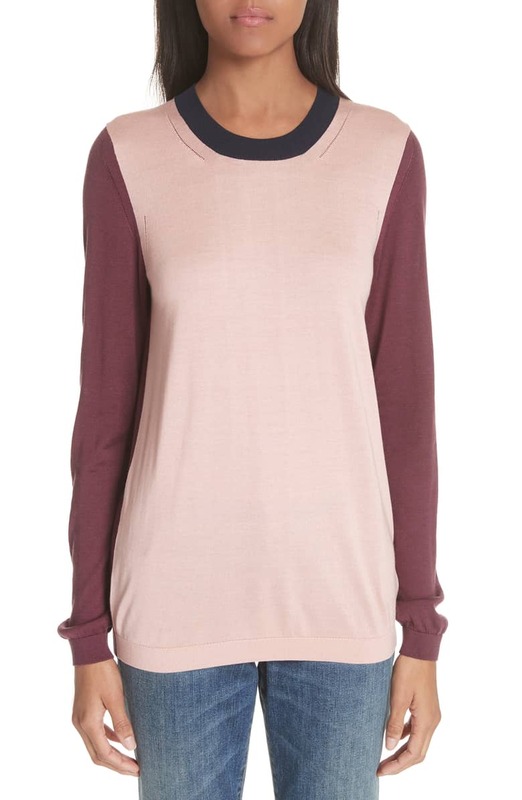 We’ll be having lots of layering fun with this sleeveless sweater boasting a cashmere and wool fabric blend. It’s great for wearing over button-down tops or dresses. Sizes range from extra small to extra large. See it: Get the Burberry Knox 55 Wool & Cashmere Sweater (marked down 40 percent off its original $790, now $474) while all sizes are available. See it: Snag these luxury Burberry pieces in the 40 percent off sale at Nordstrom while so many different styles are in stock!